Are you planning to sell your home? If so, you should improve its curb appeal before putting it on the market. Homes with great curb appeal are in demand and fetch higher prices. When talking about curb appeal, we are not referring to replacing the vinyl siding with redwood siding. Rather, we are referring to the various tasks you can do to beautify the home. The appearance of your home from the outside can greatly improve its value and make it sell quickly. You can improve the curb appeal of your home by maintaining the landscape, replacing the doors, giving the walls a fresh coat of paint, fixing broken windows, installing a new roof, and so on. Installing French doors is one of the easy ways of improving your home's curb appeal. Today, most modern homes are built with French doors. Installing the doors in your home will provide a “new” feel when opening them. The doors let in sunlight when you want and keep out the cold air. There are different factors you should consider when looking for French doors. One of the factors is price. Before undertaking any home remodeling project, you should consider the cost. Installing French doors is no different. 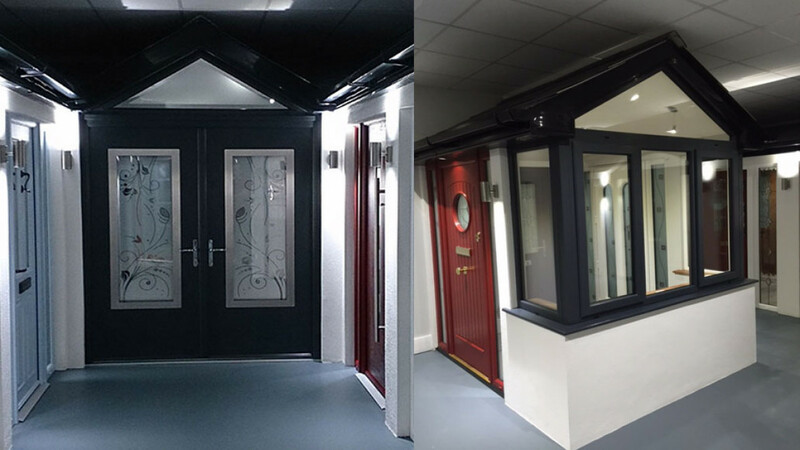 Depending on where you buy the doors, you are likely to spend from £300 to £2500 for every door. Upscale French doors can go all the way to £8000. However, the high cost of the doors is justified by their beauty and long lifespan. One of the popular French door options is that made from fiberglass. This door provides a classic architectural appeal and allows light in when you want. The average minimum cost of French fiberglass doors is £450 while the average max is £1500. The high costs of French doors are due to the architectural moldings added later on. The material used to make the French doors you buy will determine many of its advantages. Below are the main advantages. French doors made of fiberglass allow light to enter the room when you want. When light enters the room, it makes it brighter and feel less closed-in. This is especially true for the dining and living rooms. While you can improve the curb appeal of your home through open concepts, adding a fiberglass French door is cheaper than knocking down a few walls. French doors come in a variety of designs you can choose from. The doors are also available in different materials such as wood, aluminum, steel, clad and fiberglass. You will not have to sacrifice design to get the right French door that will improve the curb appeal of your house. Replacing the front door typically leads to the highest return on investment (ROI) when remodeling a home. It is almost certain that the value of your home will increase with installation of new French doors. While the upfront cost of the doors may seem prohibiting, you will have clout to ask for a higher price when you decide to sell the house. The most popular French doors are those made from fiberglass, offered by Dkwindows.ie. These doors are strong, durable and built to withstand wear and tear. If you are looking to replace your exterior doors, go for fiberglass doors. Unlike wooden French doors, fiberglass doors don’t require any protection or routine polishing. The doors can be painted to match your existing home décor, theme or design. The doors are also airtight and energy efficient. The above is an overview of how French doors can improve the curb appeal of your home.